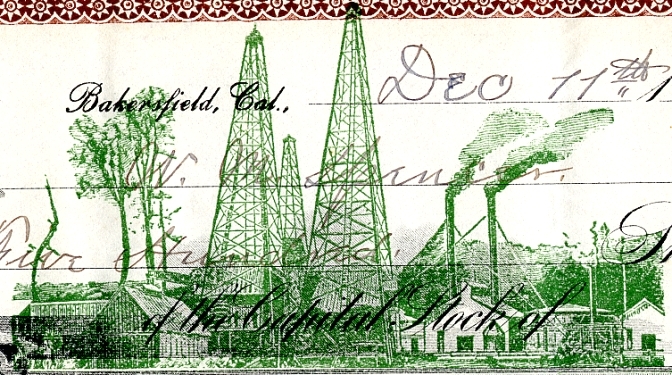 Beautiful certificate from the Arroyo Oil Company issued in 1899. This historic document was printed by the A. Carlisle & Co., Stationers and has an ornate border around it with a underprint vignette of an oil field. This item has been hand signed by the Company’s President, and Secretary, and is over 112 years old.